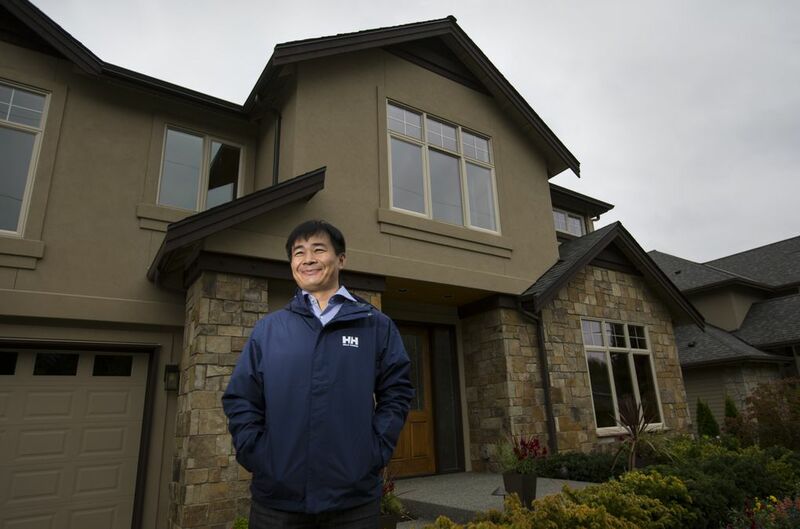 Immigrant investors, once a trickle, have rapidly grown in numbers as applicants like Chinese businessman Fuxue “Frank” Gong use the EB-5 visa program to establish a foothold in the U.S.
Fresh off a 14-hour flight from Shanghai, Fuxue “Frank” Gong stood smiling in front of the two-story, four-bedroom house in Bellevue’s Manor Hill neighborhood. He’d just bought it for $1.9 million. Gong, a 38-year-old businessman who exports plywood, wood flooring and garden furniture from China, is eligible to become a U.S. permanent resident because, through the federal EB-5 visa program, he invested $500,000 two years ago in a hotel project on the East Coast. He plans to establish his company’s U.S. office in Bellevue and, in a year or two, bring his two daughters here to attend Bellevue’s public schools. Immigrants who already live in the United States also look to the EB-5 program to secure a green card. For example, the family of an Indian woman who’s lived on the West Coast since the early 1990s with temporary visas has invested $500,000 in a Tukwila hotel project in an all-out effort to finally obtain permanent-residency status for her. The number of immigrant investors, once a trickle, has mushroomed: For the first time since Congress created the EB-5 visa in 1990, the program in 2014 reached its cap of about 10,000 visas, counting investors and family members. The government last year approved petitions from investors who collectively put up more than $2.5 billion, according to IIUSA, the trade group for the EB-5 industry. The backlog has reached record levels, too: Last year there were 12,453 petitions worth an estimated $6.2?billion in investment awaiting approval, compared with 514 petitions pending at the end of 2009. Chinese investors dominate the EB-5 visa program. Some credit former Gov. Gary Locke with boosting its growth. Though the EB-5 program isn’t restricted to building projects, almost all immigrant investors prefer to put their cash into real-estate development. Investors from mainland China dominate the contest for EB-5 visas. Last year, 86 percent of approved petitions came from those born there, federal records show. Taiwan, India, Vietnam and Iran rounded out the top five. Bellevue developer Lobsang Dargey credits former Gov. 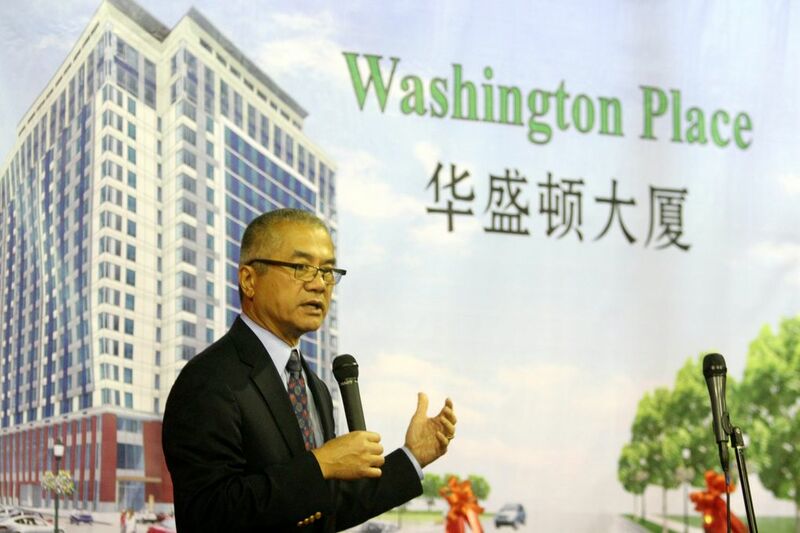 Gary Locke with encouraging the EB-5 program’s rapid growth, mainly with investors from China. Starting in 2009, Locke served as U.S. commerce secretary, then U.S. ambassador to China until last year. “Gary’s done an incredible job,” Dargey said. EB-5 investors and their families — who account for less than 1 percent of green cards issued each year — also add to the demand for housing in gateway cities. Cities like Bellevue with nationally known schools and a sizable Chinese-speaking community attract investors like Gong. “It’s a job-creation vehicle that doesn’t cost taxpayers any money, and once they come here they’re spending money,” said Joseph Ho, the Berkshire Hathaway HomeServices real-estate agent who helped Gong find a home. There’s even a cottage industry of boutique firms catering to new arrivals. For example, Bellevue-based Northwest International Consulting markets itself to Chinese investors as a personal concierge, helping them navigate the process of finding a home, setting up bank accounts and connecting with schools. Gong’s journey to Seattle began last year when he took a two-week road trip with his wife and two daughters. They started in Los Angeles. Gong said he set his rental car’s GPS to the University of Washington in Seattle because he wanted to show his daughters the campus. “I wish for my daughters to grow up healthy and so they can get a good education,” he said. Even though Gong bought a house here, financing about 60 percent of the purchase with an adjustable-rate loan from East West Bank, he doesn’t have a permanent green card yet. That will come if and when the federal government approves his petition showing that his investment has created at least 10 permanent U.S. jobs. IIUSA is urging Congress to increase the number of EB-5 visas, arguing that otherwise those high net-worth immigrants may take their capital to other countries where visas are easier to obtain. But even some EB-5 visa specialists are skeptical of such claims. “I’m sure there are other alternatives, but people don’t really want to go to Spain,” said David Morris, an immigration attorney based in Washington, D.C.
Canada has attracted many immigrant investors because for years it granted a permanent-residency visa in exchange for an $800,000 (Canadian) interest-free loan to the government. In January, however, the Canadian government launched a pilot program for investor visas, with much stiffer requirements: Applicants must be fluent in English or French and hold a college degree; and they must invest $2 million in a government venture fund for startups that will repay pay the investor in 15 years.